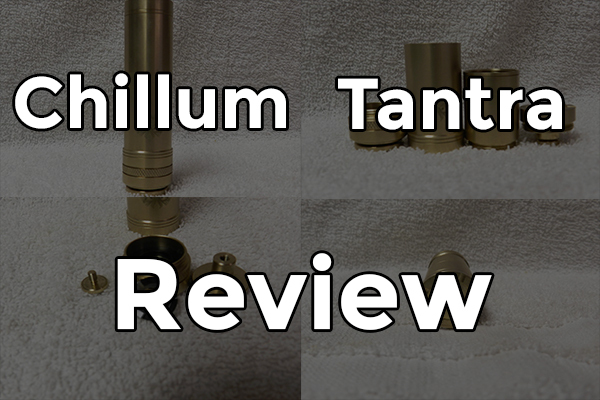 Today I will be doing a review of a USA mechanical mod brought to us by Chillum Vapor. 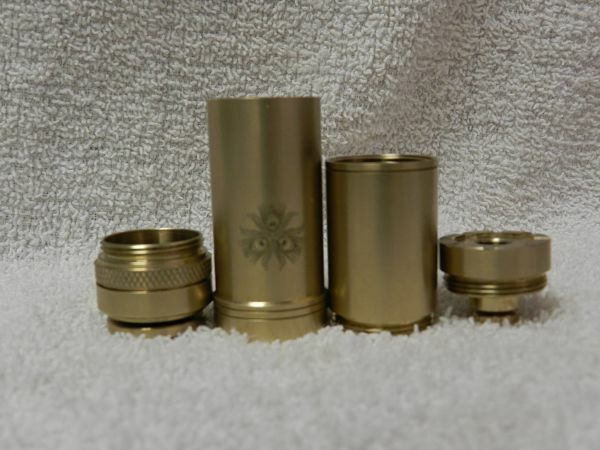 Chillum has made a beautiful brass mod called the Tantra. The Tantra is a beautiful mechanical mod. It is made of Naval Brass with a brushed finish. 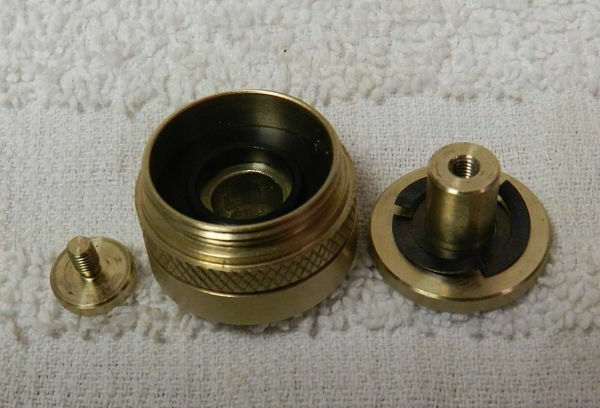 The top cap has airflow channels cut into it for those atomizers that get their airflow from the 510 connection. There is a single vent hole on the top cap. 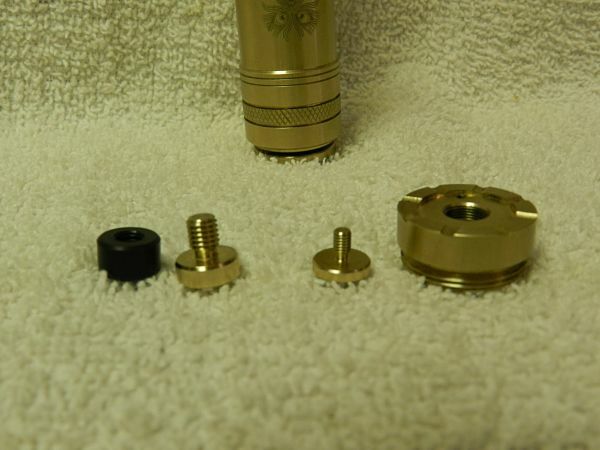 The 510 threads are smooth and every atomizer that I have screwed down on to the Tantra has fit nicely. The 510 center pin is reverse threaded, to adjust to any atomizer 510 length. On the bottom side of the 510 pin there is another pin to adjust for battery rattle. 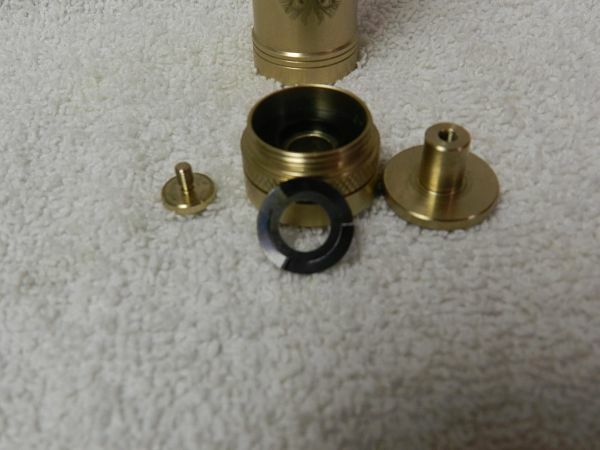 The Tube of the Tantra has two sections to it, the two sections together makes the mod into 18650 mode. When you take the top section of the body off, that allows you to put the mod into 18350 mode. On the 18350 section Chillum placed their logo, which appears to be three peacock feather ends. 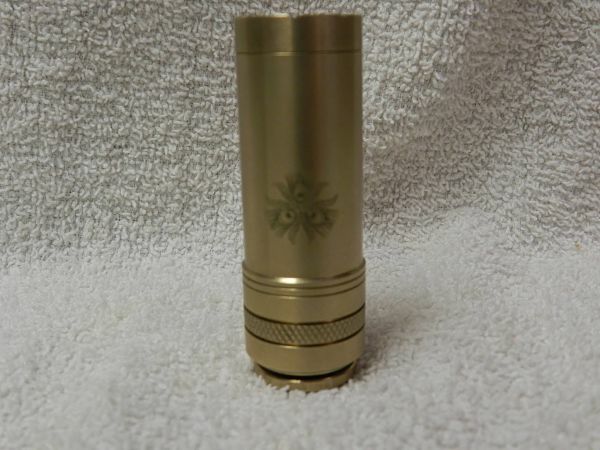 The entire mod is 22mm in diameter with exception of the bottom of the bottom tube and the switch. They are about 23mm in diameter. The switch has a knurled section to make screwing and un-screwing the bottom cap a lot easier. The locking switch moves so little, it makes it look like the firing switch is pulling into the body of the mod. 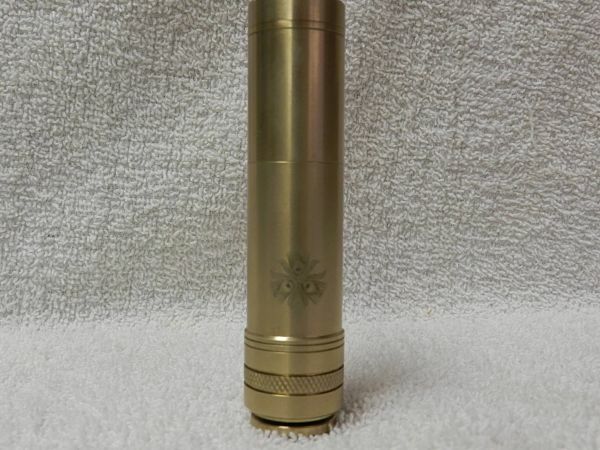 For being a brass mechanical mod you would think that it would be a heavy mod, but it is not heavy at all. The threads on the Tantra are buttery smooth! No snags nor burs on the threads. Every thread on the Tantra including the 510 threading is as smooth as can be. The Tantra by Chillum Vapor is made of lead free naval brass, making the mod very light compared to other brass mods on the market. It has brass 510 positive contacts and battery rattle adjustment contact. 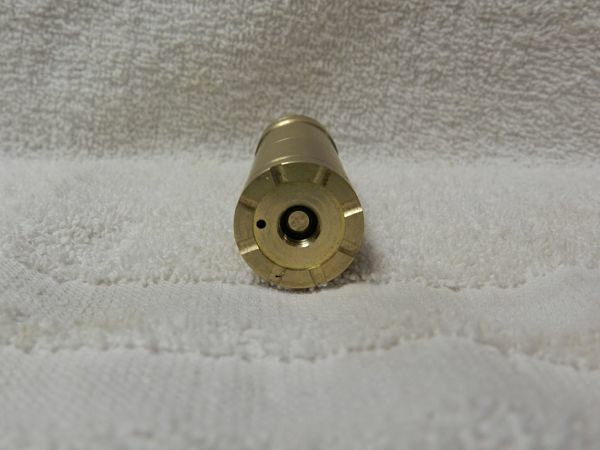 The firing contact is also brass. The spring in the switch is a very unique design. It is not the usual spring that would be found in majority of mechanical mods on the market. It is a round stainless steel disc with 3 legs raised up off the disk and tempered to a spring state. It makes the switch very smooth and easy to push, but still retains its strength and spring to give you that resistance that lets you know that you are pushing the switch. It is also strong enough to have a battery and atomizer on top of the Tantra and set it down on the firing button without firing the mod. The Tantra offers one vent hole on the top cap of the mod. I was not surprised at how well the Tantra performed at all. With the tolerances in the switch, the buttery smooth threads, and the all brass construction, I was not surprised to see a .4 voltage drop with a .39 dripper on top. The Tantra hits as Chillum claims it does, “Like a Train”. The vape quality and production surpassed a lot of the other mechanical mods that I have owned and vaped. The vape was smooth, flavorful, and dense no matter what ohm tank or dripper I put on it.